The car in question was sold for $1.54 million in 2016. They’re real and they’re spectacular,” is a quote made famous on an episode of Seinfeld, the immensely popular 1990s sitcom that of course starred comedian and noted Porsche collector Jerry Seinfeld. Unfortunately, the line may not apply to all of the Porsches that have been through Seinfeld’s impressive collection. Fica Frio Limited, a company with reported Brazilian ties, recently filed a lawsuit in Manhattan Federal Court alleging that a 1958 Porsche 356 1500 GS/GT Carrera Speedster it purchased from Seinfeld is not authentic. Currently, the lawsuit is simply a case of several Porsche experts not arriving at the same conclusions, but here are the general facts according to the court documents. 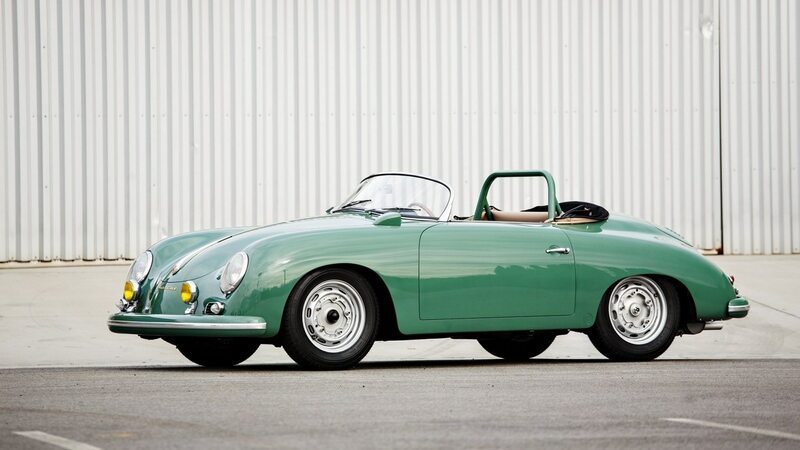 Fica Frio (ironically meaning “chill out”), purchased the 1958 Porsche at Gooding & Company’s 2016 Amelia Island auction with a high bid of $1.4 million (or $1.54 million after the 10 percent bidder’s premium paid to the auction house). 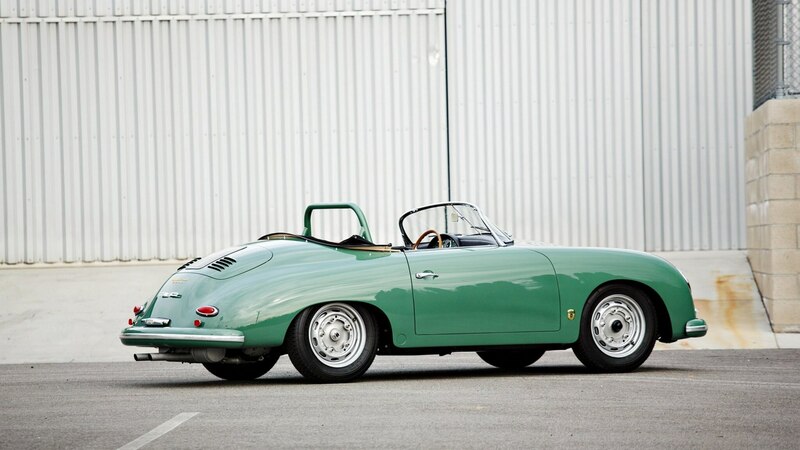 The car was one of several classic Porsches being sold at the auction by Seinfeld as part of the highly publicized “Jerry Seinfeld Collection,” as noted in Gooding & Co.’s catalog. The group of cars, just a fraction of Seinfeld’s total collection, sold for more than $22 million in 2016 and the timing proved to be excellent given the subsequent softening of the collectible Porsche market. The case further alleges that Fica Frio brought its concerns to Gooding & Company in early 2018 regarding the situation. Gooding then reached out to Seinfeld. On June 21, 2018, documents state that Seinfeld left a voicemail at Fica Frio stating that he wanted to “offer my apology for this nuisance and assure you that you will be completely indemnified in full and not have to keep the car and get all your money back,” along with, “I did want to apologize to you personally for that happening.” According to the suit, Seinfeld also said that he “would love to know how you guys figured it out because I find that to be interesting ’cause that’s impressive my guys did not, I guess, see anything amiss with the car when I bought it.” Fica Frio contends that it still has not received return payment from Seinfeld, hence the legal action being brought. According to Gooding & Co.’s 2017 Amelia Island catalog, the Porsche in question was purchased in pieces around 2009 or 2010 by Nick Clemence, the owner of well-known Costa Mesa car dealership European Collectibles. 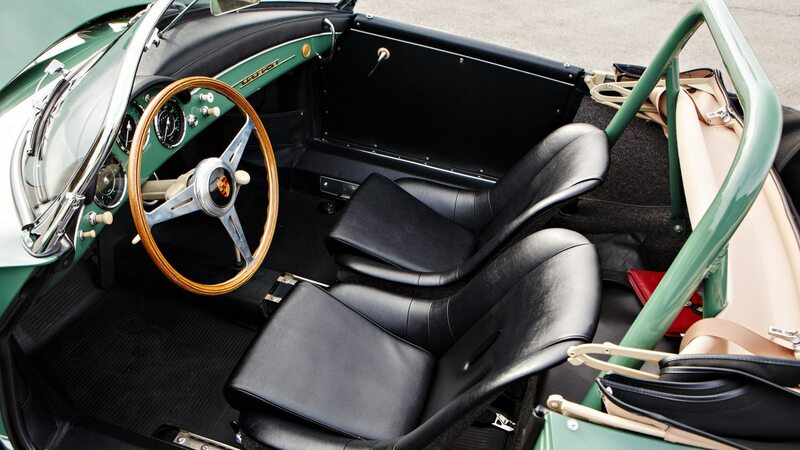 Following a multiyear restoration, the car was shown at several events garnering a First in Class at the 2012 Dana Point Concours d’Elegance hosted by the 356 Club of Southern California. It also earned a Best in Class finish at the Quail Motorsports Gathering later that year. Subsequently, it was sold to Seinfeld and retained by him until the 2016 auction. So what do we mean when we say the car is said to be not “authentic?” Though we don’t have any details, it’s not likely that the car Seinfeld sold is a fake fiberglass Porsche replica. After all, Seinfeld claimed to have his experts inspect the car and if it is fake, it looked real enough to fool not only them but many concours judges. The car also is claimed by Gooding & Co. to have come with a Porsche Certificate of Authenticity, though that is simply a mail-away document certified with customer-supplied information. It’s more likely that this is an authentic 356 Speedster, but not necessarily one of some 56 1500 GS/GT Carrera versions extant. Nearly 1,200 356 Speedsters were produced in total but the difference in value between a standard car and a GS/GT Carrera version is about $1 million. Why the big price differential? 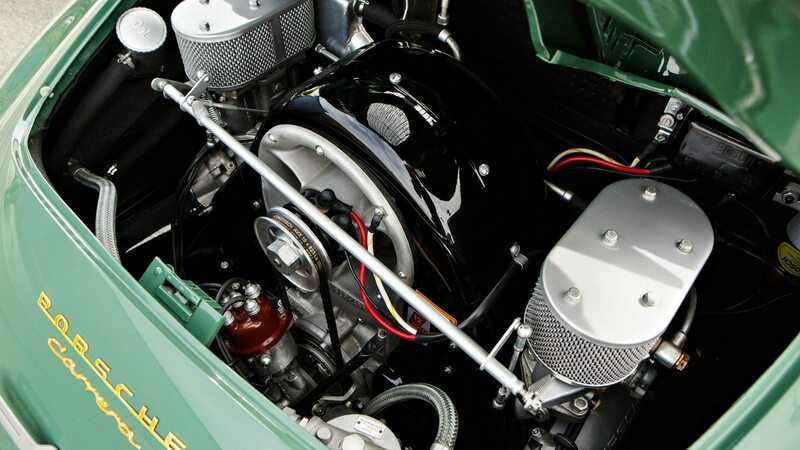 Besides their relative rarity, 1500 GS/GT Carrera Speedsters were built for the sole purpose of racing and boasted highly-tuned Type 692/0 1,500cc “Carrera” four-cam competition engines, along with no sound deadening, a larger fuel tank, and sports exhaust, among other smaller modifications. The car in question was stated to be an even rarer 1958 version with aluminum body panels and seat frames, aluminum trim strips on the bumpers, two-piece aluminum wheels, and rear decklid louvers. Doubtless several 1500 GS/GT Carrera “tribute” cars have been built through the years, some even using genuine Carrera engines. We’ll have to stay tuned to see how this story plays out and we’ve reached out to both Gooding & Company and European Collectibles for comment and will update this story if we receive any response. Right now, the case hinges on differing expert opinions of the car’s authenticity and will rely on proof—possibly via an inspection by Porsche itself—to determine what the true story is. Should the car not be authentic as the filing states, it may be possible that Seinfeld could recover his losses from European Collectibles. Stay tuned as this case develops. Are You the 992 Porsche 911 Turbo? The eighth-gen 911 Turbo is possibly leaked via Instagram—and we love it.